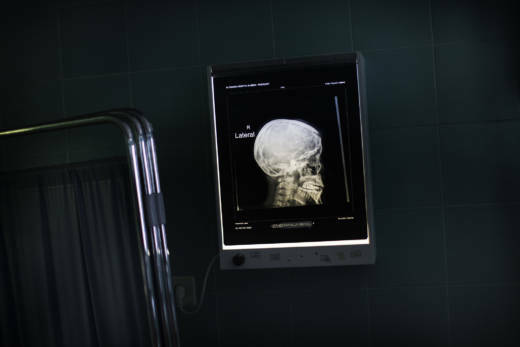 Decades ago, hundreds of nuns and priests made an extraordinary decision: They agreed to donate their brains upon death to science, hoping to help solve mysteries about Alzheimer’s and other diseases. Now, a study that used their gifts is giving some clues. It reveals that high blood pressure late in life might harm the brain. Autopsies on nearly 1,300 older people, including about 640 clergy members, found more signs of damage and one of the hallmarks of Alzheimer’s disease in the brains of those with higher blood pressure than among those with pressure closer to normal, researchers reported Wednesday. The study does not prove cause and effect, and it does not yet provide a comparison of rates of dementia or its most common form, Alzheimer’s — those results will take longer to parse. But it challenges a theory that high pressure is not as harmful in old age as it is when people are younger. Two-thirds had high blood pressure, defined as a top reading of 140 or more when the study began (it’s now 130 under new guidelines adopted last fall.) Their pressures were measured once a year during the study — a strength of this work over some previous research that just relied on people to say whether they had high pressure or not. Researchers also found a link between higher pressure and one of the signs of Alzheimer’s — tangles of a protein called tau — but not another Alzheimer’s hallmark, amyloid plaques. This needs further research to understand the implications, Arvanitakis said. “It’s a pretty strong study,” said James Hendrix, director of global science initiatives at the Alzheimer’s Association. “Autopsy data is really powerful” and has been the gold standard for diagnosing Alzheimer’s for many years, he said. With Alzheimer’s, changes in the brain occur a decade or more before symptoms do, so high blood pressure may have been doing damage well before the age when these people enrolled in the study, he said.